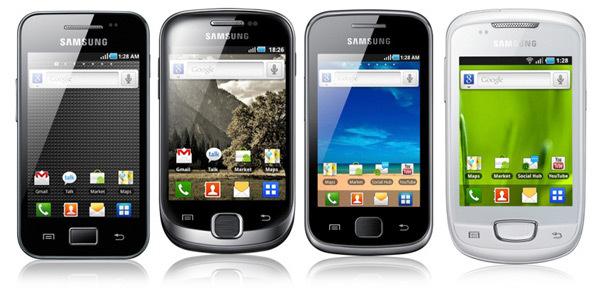 Samsung has a great image in the smartphone industry after producing mass friendly products like Galaxy phones. It deserve the no 1 position[on the basis of a consumer survey] in android market after launching a series of wonderful android phones and became the first choice for android loving fans. Samsung Galaxy Phones is the best one example of android community, which offer renowned capabilities and a lot of unique features from its competitors. VoIP is considered the main battlefield of the smartphones. When both apple and android allowed VoIP integration on their smart phones, Samsung also started work on it and after a small wait we got a number of android smart phones. "Actually VoIP is a new technology that allows users to call with the use of mobile the internet like the wifi and the 4G network. In most cases, you can have free calls if you can discover cheap internet in your zip code"
Let us go to the main arsenals Samsung Galaxy phone users can use in order to maximize their phones in VoIP usage. Like a car, your smartphone needs fuel. And its fuel is the internet connection. Make sure you have a good internet connection that can accommodate traffic from VoIP. If you don’t secure a good connection, your smartphone will have no significance from your ordinary GSM phones. Another thing to remember is that VoIP runs with a good and stable mobile internet connection. Others say that VoIP through smartphones are the worst mode of communication. Don’t believe this one. The secret to a superlative experience of VoIP in a smartphone is constant updating of the softwares and applications you use for the call. Now, let us face it. Most of the applications are free and all they ask of you is to update it in your phone. Would that be so difficult for you. If you download some VoIP applications to your Samsung Galaxy phone, you must identify and locate the buttons of your video camera (front and back), ear and mouth piece. In most cases, you must also locate and practice how to use Bluetooth headset for convenience. Samsung Galaxy phones are the most user friendly phones ever built in this planet so take your time reading the manuals and instructions for operations.